The CSP311 is still a point of argument in the S-chassis lineage, because, while it was the first to officially carry the Silvia nameplate, it was based on and shared a chassis, floorpan, engine, and most mechanical components with the Fairlady SP311. Early success with the Datsun Fairlady and Nissan Cedric saw the automaker look to try its hand at building a new luxury sports coupe, with Nissan in-house designer Kazuo Kimura working on designing a concept. Nissan liked the idea but was not happy with the styling and brought in outside help courtesy of German designer Count Albrecht Graf Goertz — this saw the final product take on a very European appearance. Featuring a long bonnet line that lunges forward of an open grille; large wheels and wheel arches; and small, subtle bumper bars, it was also the first Japanese car to be designed using a full-scale clay mock-up. Introduced for the 1965 model year, it was never intended to be produced in large quantities, with Nissan opting not to make presses to stamp out the panels. Instead, the body was handcrafted on a jig — explaining why it retailed at near double the price of its Fairlady counterpart. Most examples were licked in a metallic green colour dubbed ‘Silvia Gold’, with later examples available in white. In total, 554 were produced before the model was discontinued in 1968. By early 1965, Japanese-made performance cars were becoming a common sight on the streets of Tokyo and Yokohama, and the Datsun Bluebirds that the Police Highway Patrol had been using weren’t going to cut it. The solution was to enlist the fastest Japanese production car, which was also one of the most expensive cars to be built in Japan — yep, the CSP311. It had the highest top-speed figure, and outperformed the Fairlady and Skyline by two seconds on the quarter-mile, and, thanks to being the first with disc brakes, it stopped pretty well, too. After a seven-year break, Nissan dusted off the Silvia nameplate for its all-new S-platform that took heavy styling inspiration from the Datsun Sunny/120Y. Known as the ‘S10’, with its L18 heart, it was marketed as an economical sports car, but reports from the era claimed it couldn’t handle cornering quite like the Z or 510 that it was going up against — the latter of which it shared front suspension with. And, not to repeat the downfalls of the previous model, which critics claimed was too small, the S10 was considerably more spacious and bulkier in comparison. However, it featured more traditional lines than the rival Toyota Celica and Mazda Capella, causing it to prove far less popular, even in Japan. Exported to the US rebadged as the 200SX, and packing an emissions-choked L20B engine, the S10 was even less popular. There was still a distrust of Japanese sports cars, and the federally mandated beefed-up bumpers ruined the cars’ intended lines, causing sales to flop. Both in the US and Japan, buyers tended to opt for the Celica instead. Nissan tweaked the styling in ’77, responding to the criticism, but it was too little, too late. More than 145,000 examples were built in its four-year lifespan. Despite the S10’s unpopularity, American actor and race car driver Paul Newman piloted an IMSA B-production 200SX in 1977 for Bob Sharp Racing (BSR). It featured a host of BSR custom fibreglass pieces for weight reduction and enhanced aerodynamics. The L20 featured a raised compression, from 8.5:1 up to 10:1, with Solex 50mm twin-choke carburettors, sourced from the Datsun competition catalogue, bolted to the head. Newman campaigned the car under BSR in the Sports Car Club of America (SCCA) Championship. Along with a 280ZX driven in a separate class, Newman claimed a combined eight pole-position starts and 12 race wins in 1978, going on to take out class title honours and finishing third overall in the S10. This success would be repeated the following year when he drove a perfect eight-out-of-eight race wins. By the time the third generation rolled around, Nissan had heavily embraced ’80s tastes. Gone was the baked-potato aesthetic of the S10; in its place, slick, sharp body lines. While some would claim that this refashioning wasn’t necessarily a good thing, it proved to be popular both domestically and in export models. The S110 went by a number of names. It was sold as both a ‘Silvia’ (coupe) and ‘Gazelle’ (hatchback) in most markets, ‘180SX’ in parts of Europe, ‘Sakura’ in Mexico, with the US retaining the ‘200SX’ nameplate. Exports came equipped with the holdover L20B from the S10, while the Japanese were treated to the 100kW fuel-injected single-overhead-cam Z18ET — the first turbocharged heart used in an S-chassis. Come 1982, Nissan had introduced the infamous FJ20E to the Japanese-market S110. This was a result of Nissan’s head honchos not supporting the use of the FJ solely in the DR30 Skyline for which it was designed, requesting it be modified slightly to fit the S110. It has long been rumoured that this generation was originally intended to be powered by a Nissan-produced rotary engine that proved to be unreliable and was canned shortly after. Built to meet FIA homologation requirements for the infamous Group B rally programme in 1982 and 1983, 200 road-going 240RSs were built. The car was motivated by a 2.4-litre stroker, a high-compression and Solex 50mm carburetted version of the FJ20. This was considered to be an interesting approach to Group B, as naturally aspirated (NA) engines were quickly dying out under the might of forced induction, and fuel injection had become standard by this point. Despite this, Nissan’s entry performed respectably for what it had to work with. Its best placing was at World Rally Championship (WRC) Rally New Zealand in 1983, in which Finnish driver Timo Salonen managed to take out second place behind the wheel of a works car, with Kiwi driver Reg Cook, piloting a second works car into seventh place. Locally, Tony Teesdale drove his private-entry 240RS to a New Zealand Rally Championship victory in 1984 — a car that can still be found competing here today. It would be disrespectful not to include Nissan’s nuts Super Silhouette S110 Silvia racers in this feature. They are credited with inspiring an entirely new automotive subculture in their native Japan: bosozoku. Born out of the FIA Group 5–based Fuji Grand Championship Series’ lax nature to rules, where competition cars were only required to use an engine within the same architecture as their production counterparts and retain the same silhouette, the ‘super silhouette’ name was born. Because the first road going version ran the L20B, Nissan was able to use its race-only turbocharged 16-valve LZ20B, pumping out just shy of 420kW — a figure higher than Formula 1 cars of the era — and, subsequently, needed some serious downforce to make use of such power, which is exactly what the Super Silhouette cars got. Often confused with the Toyota AE86, thanks to the introduction of pop-up headlights, the S12 was introduced in 1983, the same year as the Hachi-Roku. For whatever reason, the 86 became an instant classic and the S12 faded into the background, despite being offered with three different turbo power plants — FJ20ET, CA18ET, and CA18DET. Regardless, among S-chassis enthusiasts, it remains the most popular pre S13 generation. It came badged as a Silvia (notchback) and Gazelle (liftback) in Japan, with America again retaining 200SX. The yanks also introduced the 200SX Sports Edition in 1986, a slightly more aggressive–looking liftback that packed a VG30E V6 carried over from the non-turbo Z31 300ZX. 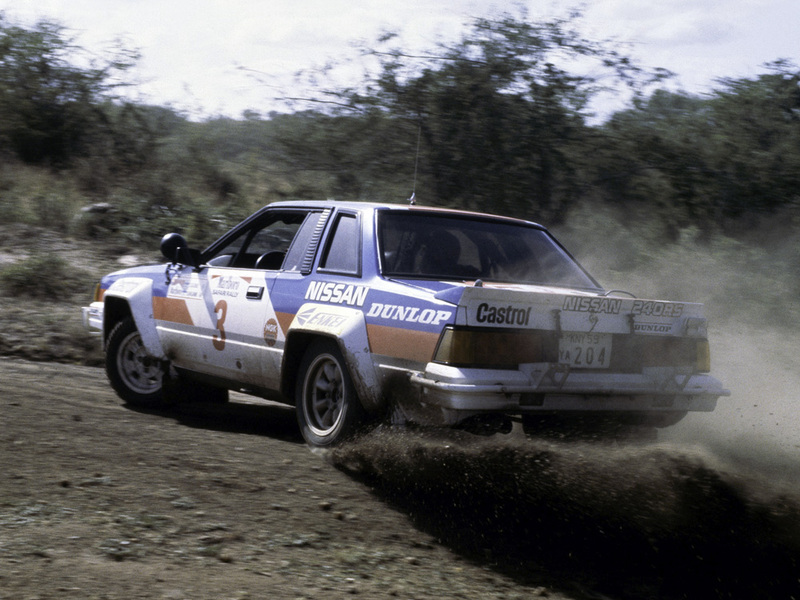 Nissan entered a number of Group A S12 rally cars into the WRC from ’87 to ’89, following the dissolution of Group B. It wasn’t uncommon for rear-wheel-drive cars to find success alongside all-wheel-drive competitors. However, almost all were motivated by turbo four-cylinders — not the S12 though, which ran a NA VG30E. Although Nissan would have happily used the FJ20ET instead, FIA’s Group A homologation requirements dictated that 5000 production cars fitted with the same chassis and engine architecture must be sold to be eligible. In Japan, FJ sales weren’t enough to qualify, but, thanks to the success of the VG30E 200SX in ’Murica, Nissan could still go rallying — picking up a second and third in the Safari Rally, and winning the Rallye Côte d’Ivoire outright in 1988. The S13 Silvia was the first S-chassis car to use the J (jack), Q (queen), and K (king) system to identify trim levels. The ‘J’ represented the base model, with a very basic interior, little standard equipment, and 14-inch steel wheels; the ‘Q’ model filled the middle-of-the-road market and received many electric upgrades, with an optional limited-slip differential (LSD); while the ‘K’ received the CA18DET and, later, SR20DET engines, along with all the upgrades of the Q-model. The model introduced a number of firsts to the range, using Nissan’s multi-link rear suspension from the Nissan MID-4 concept car and offered four-wheel steering with HICAS-II (High Capacity Actively Controlled Steering II). Nissan discontinued the liftback variant, splitting it off into a separate, new model — the 180SX — leaving only the notchback coupe available. Initially offered with CA18 engine options, from ’91 on, the famed SR20DE and DET featured across all models. It remains one of the most popular models of the lineage, both in new-car sales and second-hand, in part due to the rise in popularity of drifting at the time of its release. While the MCA Suspension team quietly goes about its business producing professional-quality coilovers day-to-day, it also holds the current World Time Attack Challenge (WTAC) overall record. Headed by former Australian rally champion Murray Coote alongside son Josh Coote, their ‘Hammerhead S13’ was initially purchased as a cheap drift car before turned into a time-attack car in 2011. It’s previously been driven by Kiwis Earl Bamber and Shane Van Gisbergen. 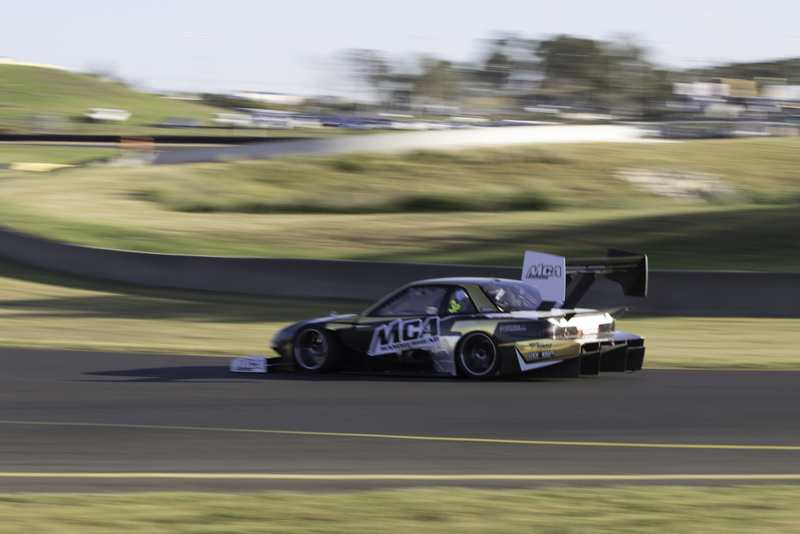 Currently driven by Tim Slade, the car dominated the 2016 Pro category and eclipsed the overall WTAC record by 1.5 seconds — claiming a time of 1min 22.19s. The SR20VET heart is based on a billet SR20DET block — it retains a steel crank with a set of good rods and basic pistons. Bolted on top is a standard SR20VE head with a light touch of porting and filled with Kelford Cams camshafts and valve springs, along with a Hypertune intake manifold. The S13 makes roughly 900hp (671kW) running E85 and implements progressive boost based on gear selection and throttle control for a linear power application. Based on the S13, the 180SX was sold as a fastback coupe sister model to the Silvia and doesn’t feature on the official family tree, as it was given an R-designation instead — but how could we dog it? It remains perhaps one of the most sought-after models and outlived the S13 by four years. Only sold in Japan, it was successful enough to convince Nissan to keep it in the market until 1988, nearly the full length of the S14’s sales run. It featured iconic pop-up headlamps and a fastback roof with a lift-gate, with the model name referring to the 1.8-litre CA18DET engine that motivated it. However, Nissan switched this engine out for the SR20DET alongside the S13, and, although increasing in litreage, the 180SX badge remained. There was a series of base models that featured NA hearts, along with the top-tier Type X model, which underwent significant styling changes, including a new front lip, rear spoiler, side skirts, tail lights, and rear valence. Not to be confused with the S110 180SX, which was offered as a trim level in Europe. In the late ’80s and early ’90s, HKS was known for its legendary drag cars — the likes of the seven-second R33 and 180SX proving to be the most well known. The Pro Stock 180SX ran an N1 RB26 block with a pre-production 2.8-litre stroker kit. Up top was, of course, an HKS affair, housing HKS Step Pro valves and HKS Step Pro camshafts. A single HKS GT3240 was fitted and, also developed by HKS, was a new intercooler and 95mm throttle body for the car. The package was backed by an HKS five-speed manual, which was revised to hold the 1029Nm of torque delivered at 6500rpm. Weighing in at just 980kg, the HKS 180SX could hit 100kph in 1.2 seconds and was the first to break the seemingly unattainable seven-second barrier, eventually settling on a world record of 7.252s at 193mph (311kph). It can currently be found alongside many of HKS’ famous record-breaking drag cars at the company’s headquarters in Japan. The next generation, released in 1993 for the ’94 model year, was lower, wider, and slightly shorter than the previous. Although many still consider the size difference to be substantial, in reality, it was the S14’s new rounded style that contributed to the misconception that there was a great increase in size. To improve handling, Nissan increased the wheelbase and track of all versions, while making minor changes to suspension, influenced by the Skyline family. This generation was also the first in the Silvia lineage to be offered with five-stud wheels. Model names were similar to those of its predecessor, with new ‘Aero’ variants of the Qs and Ks offered, featuring large rear wings, sideskirts, bumper alterations, and end-caps. Hatchback versions were scrapped, with all models offered in coupe only, and the pop-up headlights were abandoned. The S14 Ks received a new SR20DET that boasted a bump in power thanks to the addition of Nissan’s variable cam timing system and a Garrett T28 ball-bearing turbo. Nissan updated the styling for the 1997 model year, switching up the front end with an aggressive headlight and bonnet combo, with the rear tail lights darkened and a number of trim items revised to suit its new look. The Garrett T28 was also revised and received a ceramic core. Most will know this as the kouki S14, which translates to ‘latter period’. While Nissan may have focused the majority of its All Japan Grand Touring Car Championship (JGTC) on the bigger GT500 class where the GT-Rs went up against the likes of NS-Xs, Supras, and other European supercars, down in the GT300 class, the S14 was dominating. The most memorable was the RS*R-sponsored example driven by Hideo Fukuyama and Japanese drifting legend Max Orido, with the team claiming both the driver’s and team’s titles for 1997. A second S14, driven by Nobuyuki Ohyagi and Takayuki Kinoshita, also placed well in the championship. Come 1999, Japan saw a new (and, as it turned out, final) version of the Silvia introduced. The S15 dropped the picture-card models in favour of simplification. Buyers were offered two models: ‘Spec S’, which was fitted with a 121kW non-turbo SR20DE, and the ‘Spec R’, which boasted a 164kW SR20DET thanks to a slightly upgraded version of the previous T28, as well as a change in the ECU. The Spec R featured the first six-speed manual box of the lineage, four-pot calipers, a larger brake booster, and increased body and suspension rigidity. Also for the first time, instead of a viscous LSD, the S15 offered a more effective helical LSD, with HICAS four-wheel steering as an option. Meanwhile, as you’d expect from a base model, the Spec S was available with either a four-speed auto or five-speed manual, with many of the additional support structures omitted, two-pot calipers, and a carried-over viscous LSD. Nissan would eventually expand the line to include a luxury and upgrade options package for both variations. Most notably, Autech, Nissan’s special-car division, offered several tuned versions of the S15 that included a higher compression Spec S with more aggressive cams and a better-flowing intake-and-exhaust combo, tuned ECU, and chassis and suspension upgrades. An extra option for this version was an upgrade to the six-speed box and other upgrades normally found on the Spec R only. Autech went on to offer a convertible variant of the S15, called the ‘Varietta’, which featured a folding hardtop — a first for Japanese manufacturers. 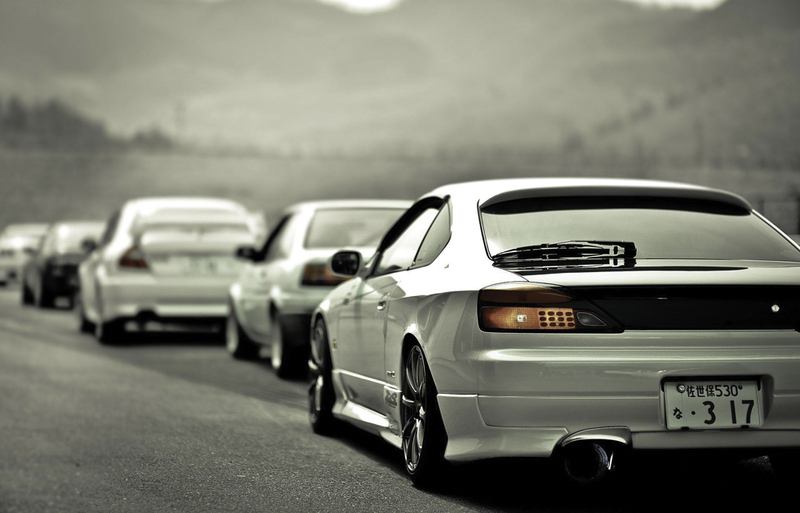 Nissan closed the curtain on the Silvia in August of 2002 amid efforts to downsize the scale of models on offer. Perhaps the most famous S15 of all, the HKS Hyper Silvia S15, piloted by Nobuteru Taniguchi won the first event of the 2002 D1GP season at Ebisu Circuit, finishing the year with an overall second place. It would later become a backup car to the newly built RS2 in 2003, which would see ‘Nob’ rank fourth overall for the season. Both versions featured seam-welded chassis, with items such as the radiator and oil cooler rear-mounted in pursuit of a 50/50 weight distribution. Interchangeable weights were used to balance the car to the track on which it would compete. The SR20 featured the newly released HKS 2.2-litre kit and HKS GT2835, with SPL intake and exhaust manifolds, new HKS 256/264-degree camshafts and HKS reinforced valve springs, HKS 740cc injectors, dual HKS fuel pumps, and the package managed by an HKS F-Con V Pro. It produced 358kW, delivered through an HKS five-speed sequential box and Nismo GT LSD. And, for suspension, the factory arms were replaced with Nismo and Ikeya Formula examples with a set of HKS Hipermax coilovers, while Endless six-pot fronts and R33 rears took care of braking.